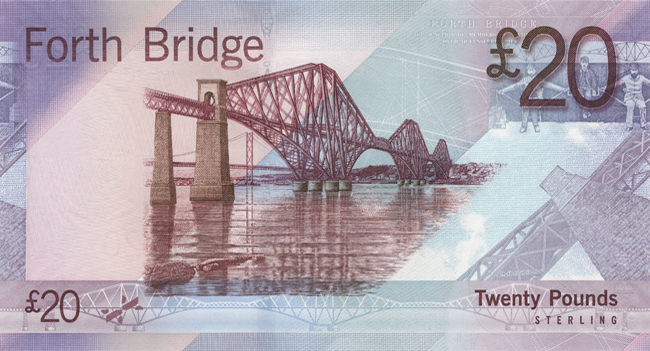 Forth Bridge, especially on a banknote. 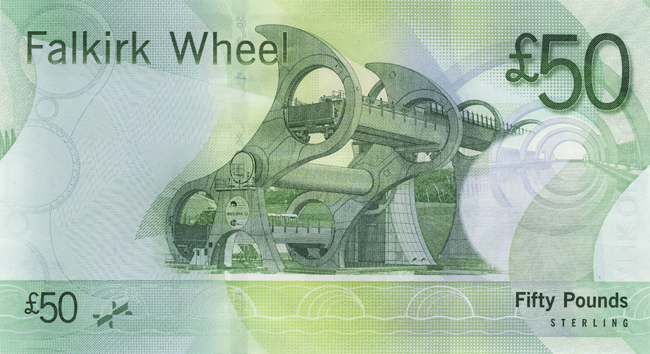 Images of current Scottish banknotes can be found on the Committee of Scottish Bankers' website. I collect Scottish notes too. These new designs are among the best produced in a while. 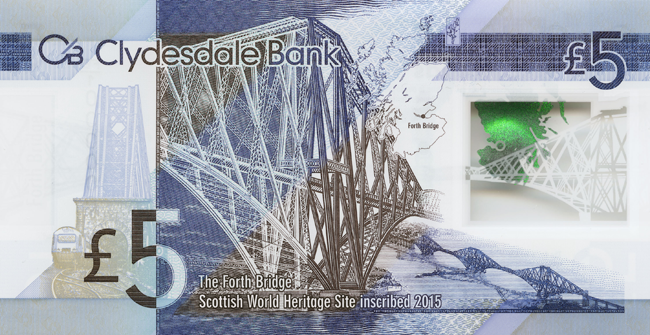 Here is an earlier Scottish note with the Forth bridge on it. A national Bank £5 Pounder reverse from 1957.